Each event is limited to 20 participants. Join BikeNewark for a tour of some of downtown Newark’s many historic buildings! 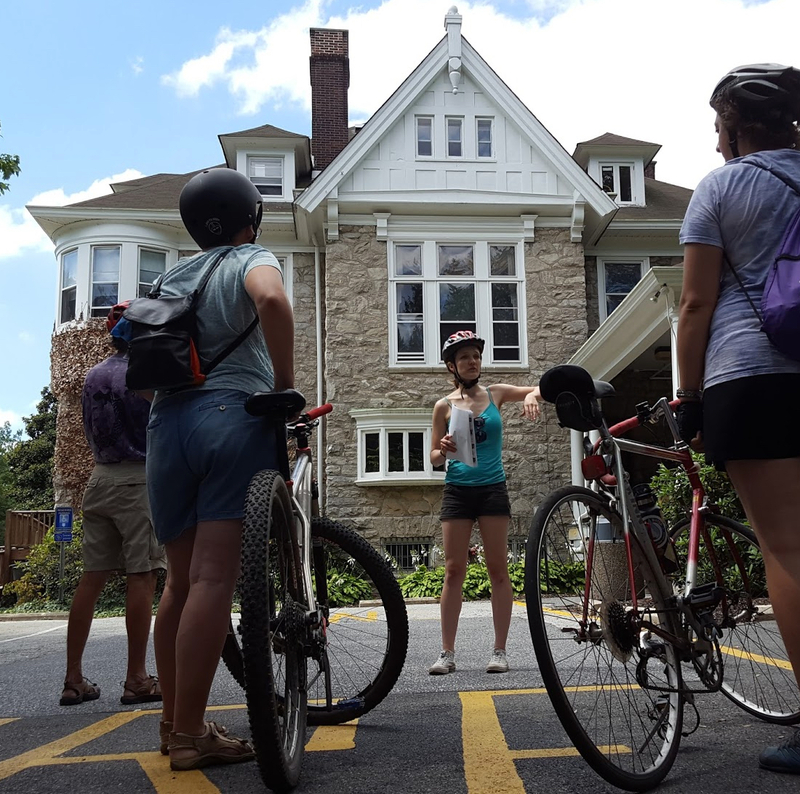 This five-mile bike tour features 20 of Newark’s historic buildings, and tour guide Jim Jones will discuss the histories of Newark and of each building, as well as the buildings’ architectural features. The tour loops around the Main Street vicinity, with a couple of outlying stops, for a total of twelve stops. The duration of each stop ranges from five to ten minutes, during which the guide will discuss the buildings and participants will have the opportunity to ask questions. The tour begins at Academy Square, which is the square at the southeast corner of East Main Street and Academy Street. Close to the middle of the tour, there will be a 15-minute break at a coffee shop. The tour ends at Deer Park Tavern, where tour participants are invited to continue the conversation. The research for this tour was conducted by Gemma Tierney and Jamie Magee, volunteers at the Newark Bike Project, one of BikeNewark’s partners. They have also created a map that includes their research on each building.